Thai cooking emphasises on lightly prepared dishes with strong aromatic ingredients and a spicy edge. In Thai dishes, we can usually taste at least three and if not all these sensation in our mouth; sour, sweet, salty, bitter, and spicy. I guess this is most probably why we all love Thai cuisine: because they tease our taste buds. 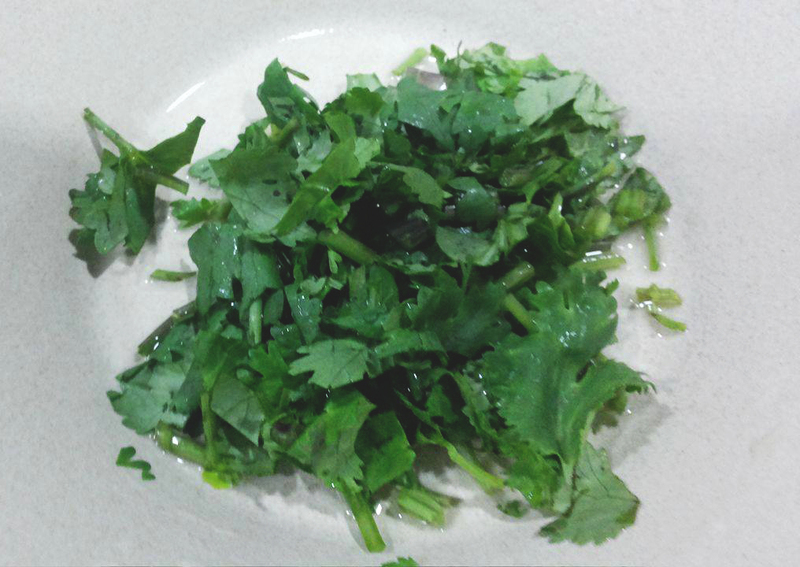 The dish which I am sharing today may be simple but it is a very flavourful one. As we all know, squid is a very delicate creature because if we overcook it, the texture will be very tough and rubbery to eat. So a crucial part of this recipe is ensuring that the squid is cooked just right. If you like you may replace squid with prawns or fish (sea bass as suggested by one of my Facebook friends). The main highlight of this dish is of course the sauce. Drooling already!!! Separate squid heads from tubes. Remove innards and ink sac, then peel away as much skin as possible. Rinse and drain well, and slice tubes into 1cm thick slices but don’t slice through. 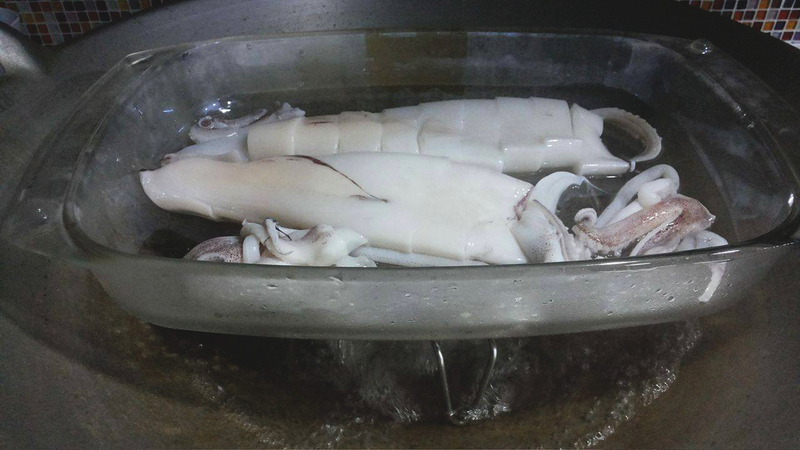 Place squid in a shallow steaming plate. Prepare a wok with water and heat over high heat. 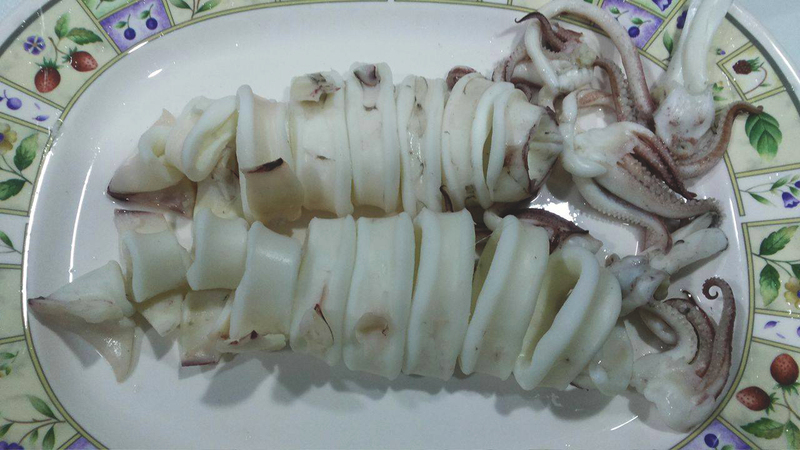 When the water is boiling, place the squid in the wok and cook briefly until done (about 3-5 minutes). 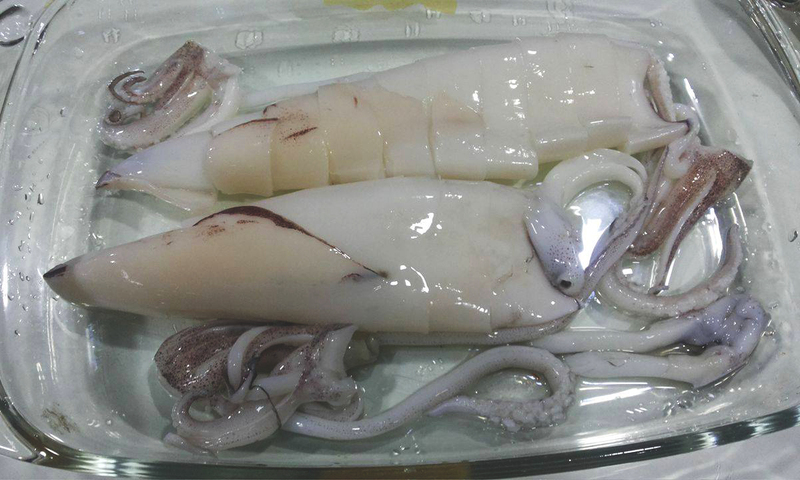 Squid should appear opaque and tender. Set the squid aside. 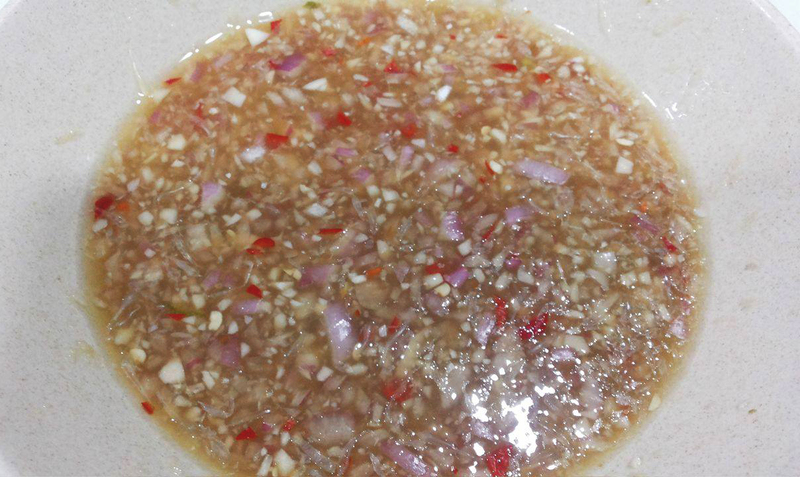 While squid is steaming, mix all the sauce ingredients then taste. There should be a good balance between salty, sweet, spicy and sour. Adjust if necessary. Most importantly, ensure that the sugar is dissolved. 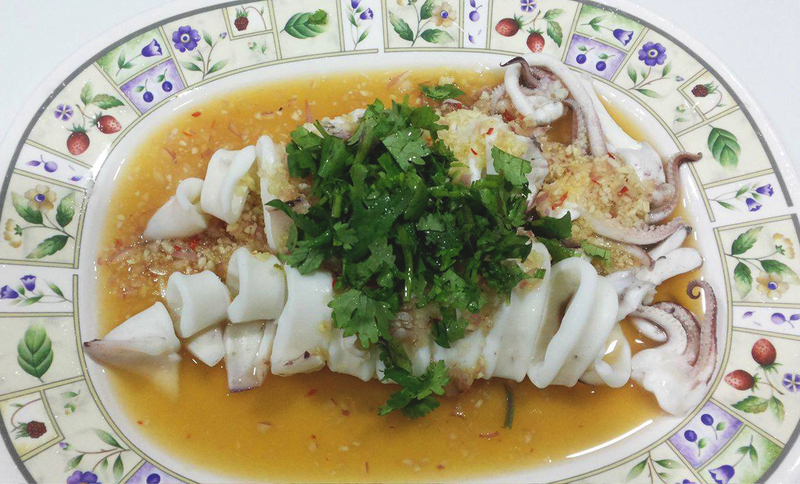 Once squid is cooked transfer them into a serving plate and pour the sauce over it and garnish with the coriander. Serve immediately.